What Is Obama’s Former Attorney General Hiding? 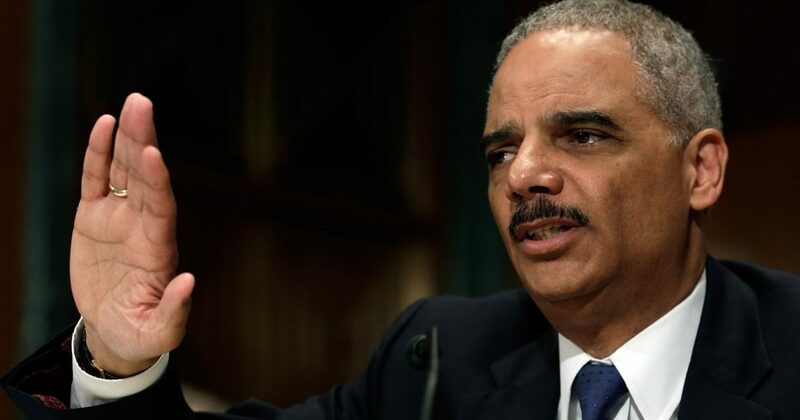 One can only imagine what Former Obama Attorney General Eric Holder has to hide. Despite Obama’s claims of “scandal-free” administration and the most transparent, Eric Holder knows he has serious problems ahead. Holder and the AG who followed him, namely Loretta Lynch were the worst attorneys general in American history. Corrupt to their rotten cores, the duo. And they used the office to brutalize the American public, specifically Conservatives. Eric Holder issued an interesting challenge to the FBI not long ago, and we documented it. One has to wonder about that warning, given Holder made it in June of this year. But next, Holder pulled a Loretta Lynch and actually threatened Republicans in Congress against removing Special Counsel Robert Mueller. The warning came the day after GOP congressmen grilled Deputy Attorney General Rod Rosenstein on a variety of issues. One of the more poignant lines of questioning came over Mueller stacking his team of Trump investigators with Hillary Clinton donors and lawyers. Exactly what does Holder think he can do? Obama administration goons think they never leave power. Social media didn’t take Holder too seriously, as you can see below. Funny thing that you didn’t seize the opportunity to put country before party when you had the chance. Anybody who watched Holder, held in contempt of Congress while serving as AG, knows that Holder never put country over Party. The man was an ideologue, and an ethnocentric racist. 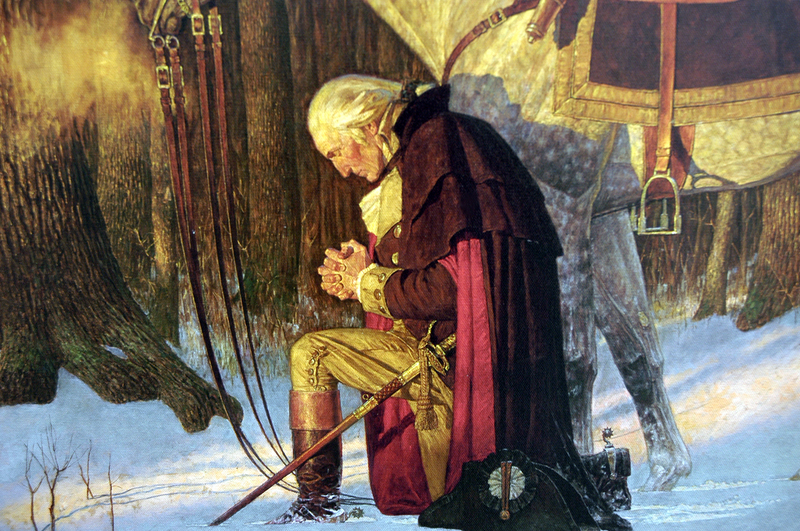 For the sake of consistency, will any uncovered corruption and bias of Mueller's team be considered equally intolerable? A great question for Holder and the rest of Conservative America. What will Leftists do when the dominoes of crooked Democrats fall? That’s an easy question for Conservatives. We might be disappointed to learn that our side cheated. But we would offer neither excuses or quarter. We would demand justice, and make sure that only the most scrupulous people came to power as Republicans going forward. In fact, we’ve already begun doing that strategy, as demonstrated in the run-up to the Election of 2016. The list of Democrats is longer than a Polish last name, Nowakowski. 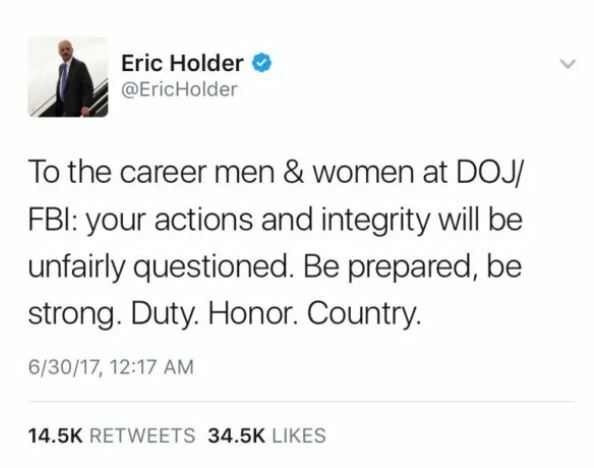 Eric Holder issued that warning to himself. He’s rightfully afraid. Nobody thought Donald Trump would win, thus all these crooks had resigned themselves to getting away with their crimes. But now it’s time to pay the piper. And because these clowns “played” Americans for so long, we will not let up. So Holder will soon regret his tweets. Further he will regret the part he played in covering the scandals within the Obama administration. I for one can’t wait to see Congress, and ultimately his jailer take the smug look off his face.